Weight loss is a complicated process — one that gets trickier as you grow older. Syllette King, MD of Orlando, Florida, specializes in helping people find their inner beauty holistically — for some, this means dropping a few pounds. Often weight loss is a medical concern, as well. Being overweight or obese increases the risk of chronic illnesses, such as cardiovascular disease or diabetes. Medically managed nutrition can be the answer for those struggling with their weight. How does weight loss happen? To lose weight, it is necessary to eat fewer calories than you burn. When a person eats more than they burn, the body stores that extra energy in the form of fat. It's a survival instinct designed to prevent starvation. Unfortunately, there’s no sensor that stops fat storage, which is why some people end up overweight. That is a simplified explanation, though, because there is more to obesity than just what a person eats. Your weight depends on many factors including the rate of your metabolism, for example. A doctor can monitor and manage the weight loss process, and takes all factors into consideration to create a practical diet and exercise plan. What happens with a medical weight loss program? 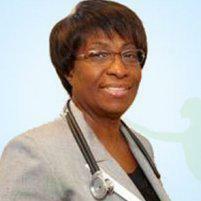 Dr. King focuses on nutrition, exercise, and medical management, and always starts with a physical exam. She will discuss family history and does tests to rule of medical problems that might interfere with effective weight loss such as hyperthyroidism. She also checks your heart and lungs to ensure you are healthy enough for exercise. The first visit involves baseline readings such as weight, height, and body mass index (BMI). Dr. King talks will talk to you about achievable goals, too, helping to develop a practical and sustainable weight-loss strategy which focuses on good, balanced nutrition and exercise. In some cases, she may prescribe medication to help improve the chances of losing weight such as an appetite suppressant. Do all patients need medical weight loss management? All patients can benefit from a little help in this area. Technically, it’s possible to lose weight without a doctor's help, but it's not something anyone has to do alone. Getting a check up prior to changing your diet or level of exercise is important to rule out medical issues, as well. Good, effective weight loss is a slow process that requires a change in habits. Dr. King can help you develop a new, healthier relationship with food and exercise so they keep the weight off.